What do you use as software to chat in your smart phone? 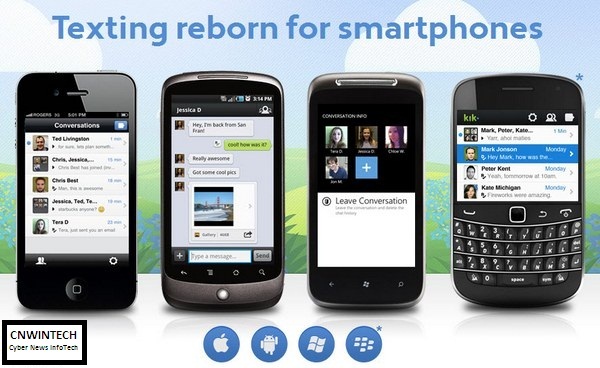 Moreover you are using a Blackberry device that provides maximum support for activities chat to fellow Blackberry users. The presence of WhatsApp application that can unify multiple platforms also provide a separate option to users of mobile devices in chat interaction with colleagues or friends near you. But WhatsApp Messenger requires usage of keywords your mobile phone number to get connected to one another, little different on IOS platform for application WhatsApp Mesengger with username creation, but the basis of the concept by using the phone number. This time comes application KIK Messenger that supports multi-platform, capable of uniting to your mobile phone users iPhone, Android, Windows Phone 7 and Blackberry. 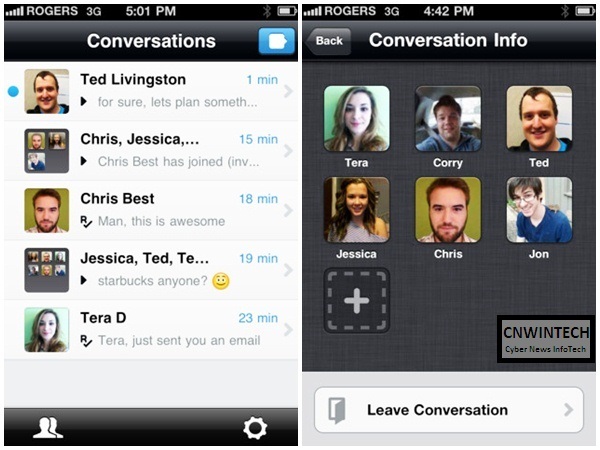 KIK Messenger application has long used by many users to be able to chat on various platforms, especially since yesterday this application already supports the BlackBerry platform that was recently launched to public. Their use fairly simple, you simply create a username and to be able to add friends or your relatives, simply enter their username into the KIK Messenger, and you’re able to chat. Interactions are also more than one-to-one, so in other words can make conference. 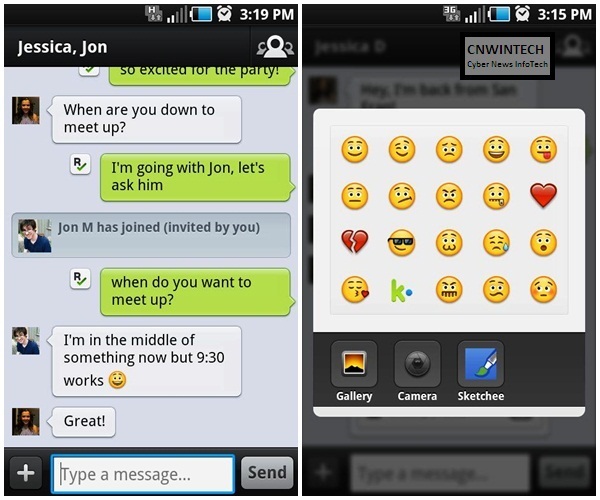 There is also support for emoticons that can express you while chatting. Also you can send photos during a chat, in addition to exchanging information. This application is lightweight and does not burden the performance of the phone, most importantly, you can chat and always connected with various friends and relatives, and without complicated spelling phone numbers and maintain the security of your phone number too of course. For you who want to try it, you can perform the installation according with the platform that you use on your phone. Visit the website http://kik.com or visit through iTunes, Android Market, or Zune. 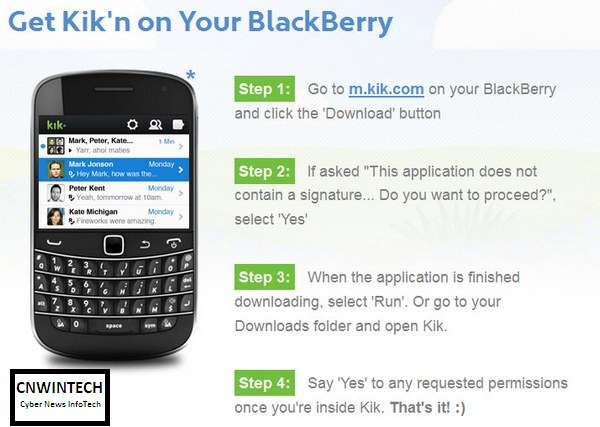 Specifically for Blackberry devices that just launched, visit http://m.kik.com and do easily download and installing the application. Instantly it all, you only need to add your username to your friends or relatives you can connect through the virtual world via a mobile device that supports cross-platform.